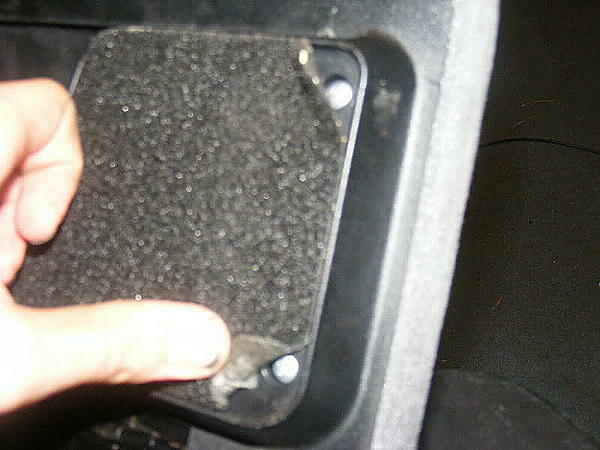 Brief Explanation: Removing or flipping the spring in the center console to stop it from opening automatically. CAUTION: Pics were taken after this process was completed. 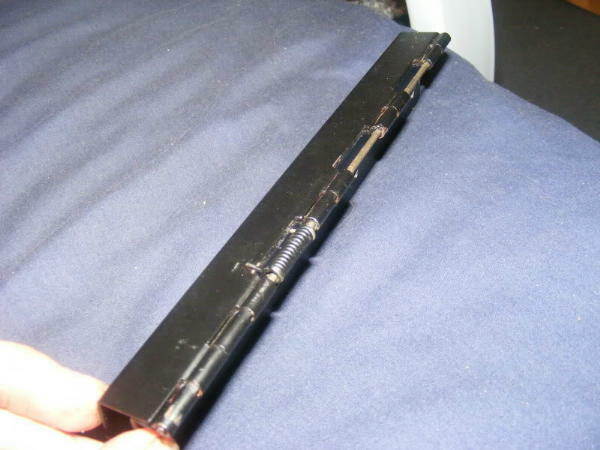 The hinge by default has 3 springs in it. I recommend only placing one back in when reassembling. 1. 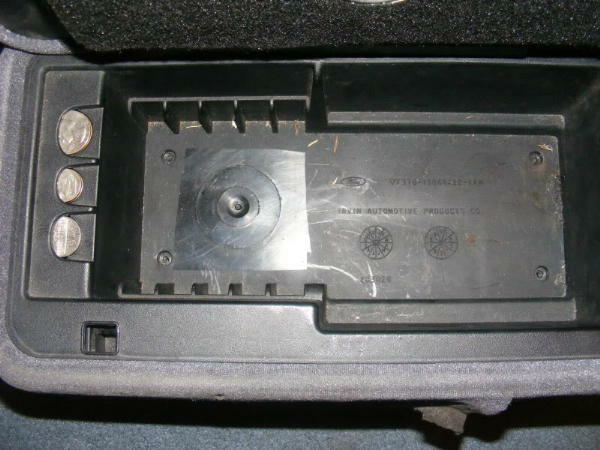 Remove the center console from the ranger. 2. 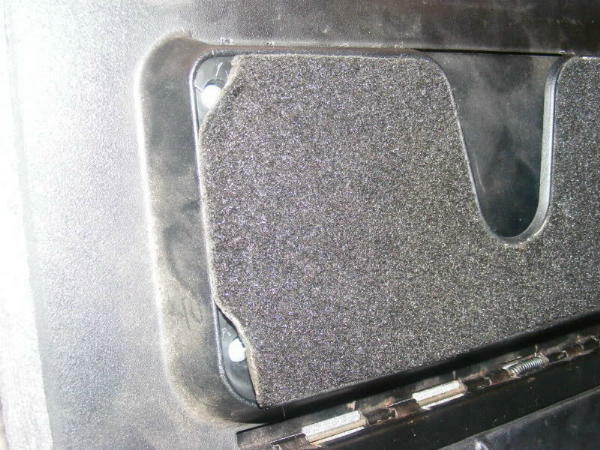 Either peel the felt off the top and bottom or just the 4 corners on both felt pads. 3. Remove all 8 screws (4 on top and 4 on bottom). 5. Take out the 8 screws holding the hinge in place. 7. 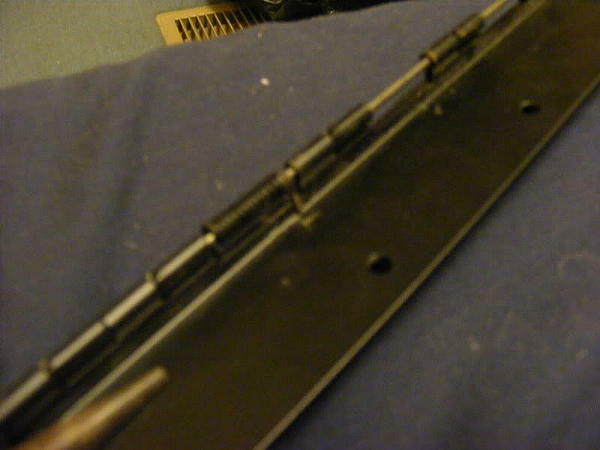 With the springs out, you can put the rod back in by itself and reassemble the whole console and it wont force itself to open or close. 8. If you want the console to have pressure holding it closed, insert the rod till it is halfway poking through the first spring slot. 9. 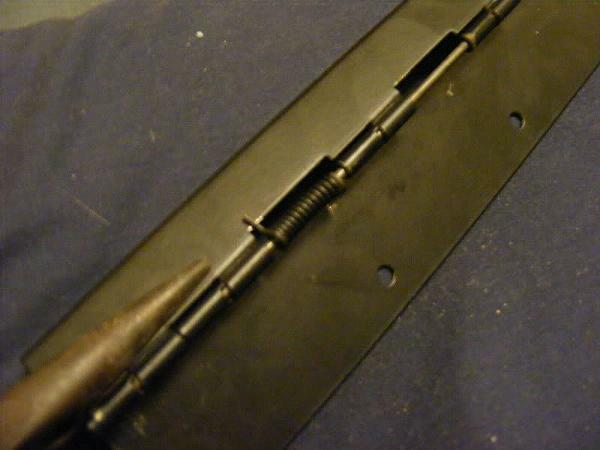 With the bracket in the CLOSED position, put the spring back in place with one tab of the spring on the TOP of the bracket towards the side you are inserting the rod. 10. 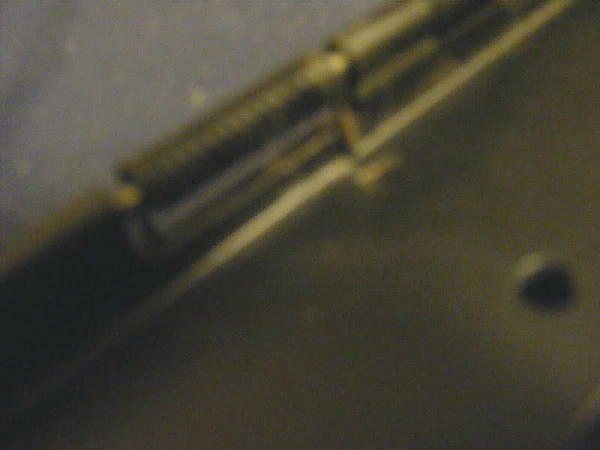 Using needle nose pliers, bend the spring around so will pushing UP on the BOTTOM piece of the hinge. 11. 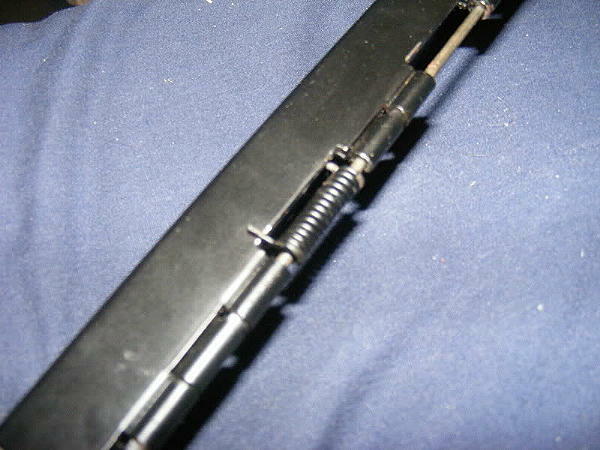 Still holding the spring loaded, have a friend push the rod in with a hammer or pliers so it slides through the spring and into the next part of the hinge. 12. I recommend only putting one spring in, it has plenty of push to keep the lid down firmly. 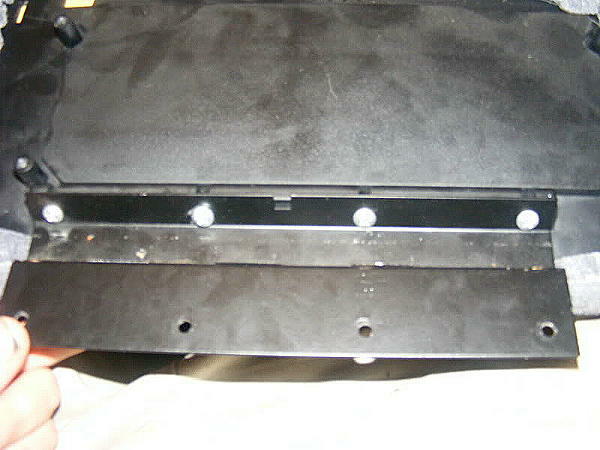 Push the rod through the hinge the rest of the way, and reassemble the console. 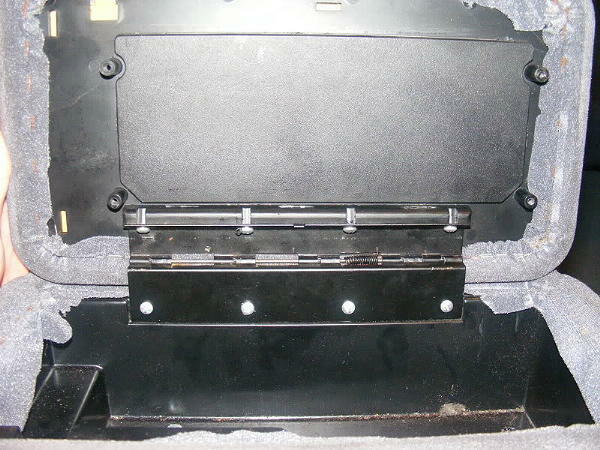 C clamps or vice grips will help with reinstalling the hinge onto the cover, put the screws in the top of the console, then the bottom. 13. Press the felt back down or use glue to stop edges from curling.